When I visited Williamsburg, VA on a high school trip, we knew of two things to do. 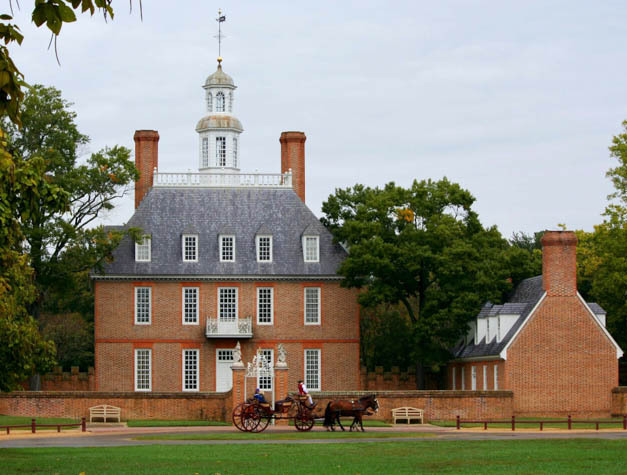 Go to historic Williamsburg and then go to Busch Gardens Amusement Park. Both are still there, of course, and are must-dos for most visitors. But we were surprised to discover on our family vacation to the Williamsburg area how much more there is to do from museums to outdoor activities and dining. Here are five things you might not know about Williamsburg that our family really enjoyed. Busch Gardens is the ideal amusement park for people who love roller coasters. We don’t, so we opted instead to visit the theme park’s Water Country USA, a water park that can accommodate just about any age kid. We spent most of the day with our not-so-daring 7-year-old in the wave pool and the lazy river. We tried all the small and mid-sized slides and she liked a water obstacle course for bigger kids. There is a good-size splash pad for very little kids with lounge chairs nearby for parents, and a few heart-stopping shear-drop slides for daring teens and adults. Get there early to grab a good locker and claim lounge chairs by the wave pool. It’s the best place to chill out, eat lunch and use as a reunion spot. My husband groaned at the prospect of visiting a Yankee Candle Village and predicted we’d be in and out in five minutes. We were there for more than an hour and he admitted afterward that he had fun. This flagship store is enormous and has a Christmas shop, toy store, home-goods store, and fudge and flavored-popcorn purveyors as well as a candle store. The candle shop has a section called Wax Works, where you can custom dip molded white candles to add your choice of color (with shapes like toy soldiers, Jack-o'-lanterns and peace signs, they make good decorations). We made wax molds of our hands in various “poses” (peace, a Vulcan salute, thumbs-up). And we filled jars from machines that look like frozen yogurt dispensers with our own custom scents. I chose a simple purple and white stripe, alternating lavender and vanilla wax while my daughter ditched subtlety in favor of layering every fruit and candy scent they offered. The Christmas shop is also a big draw for kids with a room full of themed holiday villages and another room full of snow globes. It snows every morning right before Santa stops by to add kids’ names to his ancient-looking book. You might think that Williamsburg provides plenty of history for one vacation but Jamestown is worth visiting and can take the better part of a day. Historic Jamestown, the site of the settlement, still has an active archeological dig going on where new discoveries are altering what we thought we knew about the settlement and its residents. It’s worth taking a ranger tour for an explanation of what’s happening at the dig and what it all means. Stop by the Ed Shed where kids can sort and identify fossils and make 3-D printed copies of some of the site’s significant finds. It’s small but my daughter spent quite a bit of time here. Then leave plenty of time to head down the road to Jamestown Settlement. Walk though the really nicely done interactive museum that tells the story of the African, European and Native American communities who congregated in Jamestown and how their cultures blended. Then head outside to the living museum which includes a Native American Village, the Jamestown Fort and recreations of the three ships the first colonists sailed on. Take time to talk to the costumed interpreters; they know a lot and are eager to share. Both sites have cafés for when you need a lunch break. Yorktown is the site of the battle that won the Revolution for the Colonies. It’s also a fun little waterfront town with a public beach and changing facilities. You can spend an afternoon playing in sand and swimming in the wide and placid York River or just head here for dinner and a stroll after your sightseeing is done. There is a place in town to rent kayaks, paddleboards and bicycles. And there are plenty of good, casual restaurants. We liked the Yorktown Pub for good fried, steamed and raw local shellfish. It’s far more kid-friendly than it looks when you walk in. Everything we ate in Williamsburg and Yorktown was southern accented and tasty. The tasting rooms are not overly kid friendly but every place we ate offered local beer and wine, so we sampled our share. The Old Chickahominy House, an antique shop and restaurant, is worth seeing out for a lunch of sweet tea, chicken and dumplings, ham and biscuits or Brunswick stew. For dessert, choose any (or all) of the pie they’ve baked that day; they’re all good. A local recommended Second Street Bistro. It’s right off the highway location made me skeptical. But we had a good lunch from its menu of upscale pub fare mixed in with southern specialties like crab-and-corn soup and pimento cheese sandwiches. Note the plate of free cookies on your way out. Merchant’s Square, a pedestrian zone that separates Colonial Williamsburg from The College of William & Mary, has plenty of restaurants that are touristy, busy but pretty reliable. For us the square’s main attraction is the Saturday morning farmer’s market with seasonal southern produce, baked goods, Virginia peanuts, local ham and oysters and more. Grab scones and fresh yogurt for breakfast or put together a picnic lunch for later.